When we lived in London, my beloved and I were serial concert-goers. Since we’ve moved to France, our outings have become less frequent for a variety of reasons. Generally, only during the summer months at the various festivals held throughout the department. I scan all the upcoming events to see if there’s anyone I would like to see. If there is, I book tickets. However, I often find that artists I’d like to see are inconveniently performing when we’re at the Tour or Clasica. But there’s also plenty of freebies, where we’ll turn up and enjoy or leave surreptitiously if it’s not to our liking. 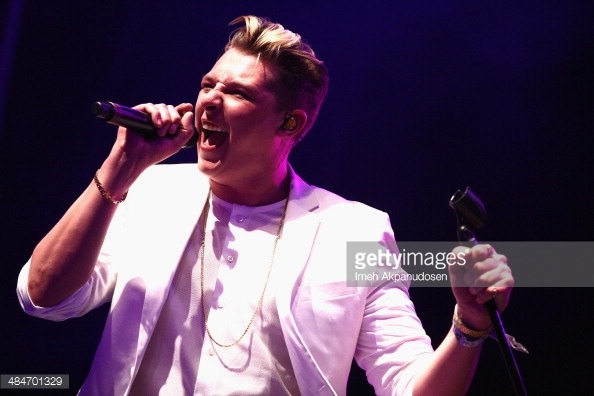 Just before we left for the start of the Tour de France in Normandy, I had spotted that John Newman, whose music we both enjoy, was performing in Monaco. I mortgaged the flat and bought two tickets. I’ve not previously seen him perform live but had watched his set at Glastonbury on the television. We parked at the Grimaldi Forum, which is the cheapest evening car park in Monaco, and walked the 500 metres or so to the Salle des Etoiles – Sporting Club of Monaco. Our brief walk took us past cars totalling millions of euros. It was a lovely warm evening albeit rather humid, as it tends to be in Monaco. A recent acquaintance wearing a tux greeted us at the venue – he was working the door. Our fears that we might well increase the average age of the audience were well founded though I spotted a couple of people who looked older than us. Turns out it was John’s mum, Jackie. My beloved went to get the drinks: small beer, mineral water and a packet of crisps. “How much?” he asked. I guessed Euros 20,00. I was spot on. I had taken the prices from our beach-front bar in Cros-de-Cagnes and tripled them. In case you were wondering, the crisps were his dinner. I’d offered him a meal in the lounge bar of The Hermitage but we were too late leaving home solely on his account. But don’t feel too sorry for him, he’d had a splendid steak lunch. 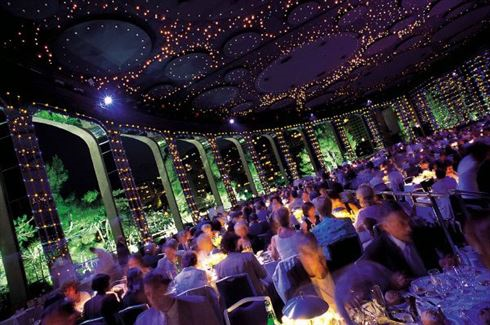 I’m not sure how many the Salle des Etoiles, whose windows are indeed open to the stars, holds but it was largely empty. Suffice to say that I’ve never been to such an intimate concert. I easily managed to get into my favourite spot – front row, slightly right of centre and about arm’s length from the stage. Suddenly the ticket prices weren’t looking so exorbitant after all. I should add the toilets were magnificent. I’ve been in bathrooms smaller than the toilet cubicle. The Sporting’s house band for the summer season, The Hometown Band, from Nashville Tennessee, opened the evening on time on a high. A seriously good 45 minute set. We then enjoyed a medley of presumably John Newman’s favourite Motown songs while waiting for him to burst onto the stage with his four-piece band and two backing singers. I didn’t realise girls still screamed at concerts. I should add I have never felt the need or desire to do so and I’m now far too old. I think John was also probably taken aback by the paucity of the crowd and gamely encouraged plenty of audience participation. Many however seemed intent on recording snippets and tweeting them to friends unable or unwilling to stump up the ticket price. Me, I prefer to look, listen and enjoy though I’m happy to join in with the clap-a-long. I’m forbidden by my beloved to join in with the singing, my voice is guaranteed to clear anywhere pronto. We were not disappointed with the performance. The concert was well worth the ticket price. It was a tight, high energy set which had John in fine voice covering all his hits and latest number Olé, finishing with his greatest hit to date, Love Me Again, during which he and the band appeared to trash the stage. No encore! I rather liked that instead of the usual baloney whereby the audience spend ten minutes demanding a pre-planned encore. We streamed out to discover the venue offered valet parking. You never got that at The Hammersmith Odeon! On a more serious note, it’s been recently announced that John’s benign brain tumour has returned. He referred to it briefly during the concert and promised to continue making music whatever the outcome. We wish him well in overcoming this latest set-back and look forward to seeing him in concert again.